Marine Parks with decent no-take zones are essential for healthy oceans and to ensure there is enough fish around for the next generation to enjoy, says the state's peak environment body, Conservation Council of SA. LISTEN on 5AA's Breakfast show. 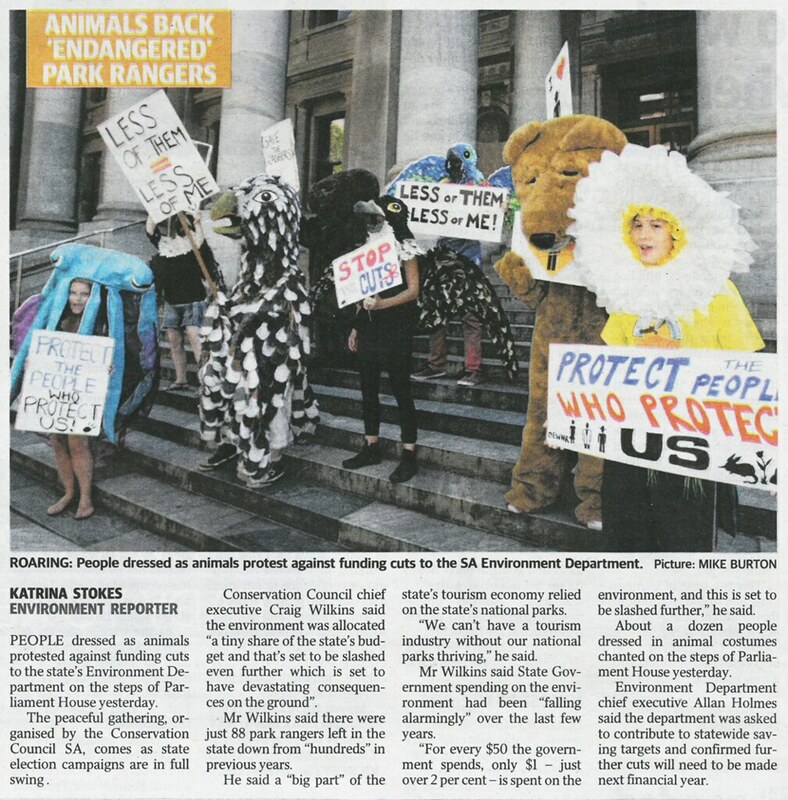 SA’s peak environment body will today formally lodge with the Commonwealth an application to list employees of the SA Environment Department as an Endangered Species. 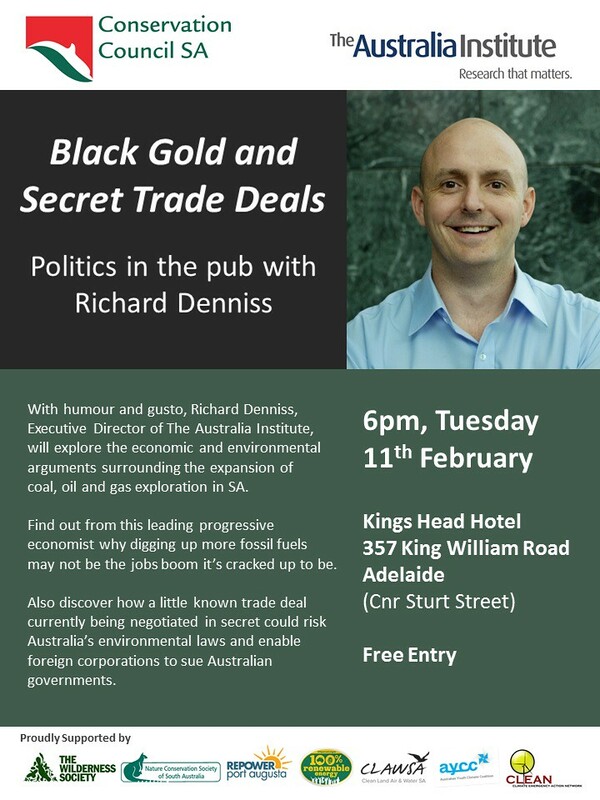 For information and to register, please go to our events page. Conservation Council SA, The Wilderness Society and Nature Conservation Society SA have launched their state election campaign, calling on the major political parties to prioritise and invest in the protection of our environment. 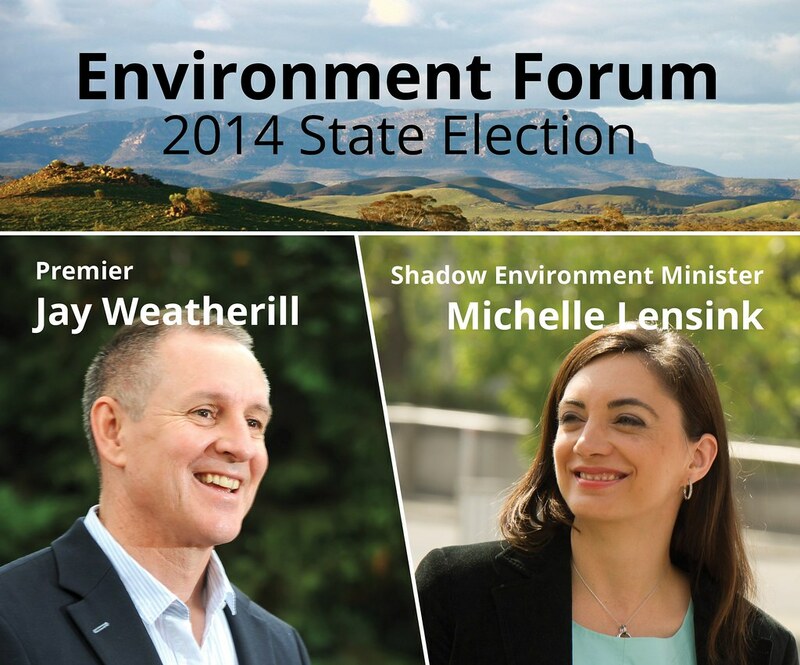 Download the South Australian Environment Groups 2014 State Election Asks, and background document. Top of the list is to double the environment portfolio's proportion of the state budget within the next term of government.